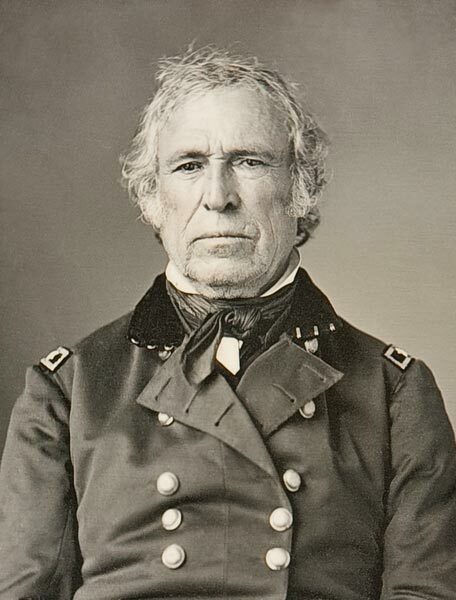 In 1849, Zachary Taylor became the 12th President of the United States. He died sixteen months into his term which is the third shortest in U.S. presidential history. His presidency was not long enough to make a great impact on the country, putting him in the bottom ten of the historical rankings of U.S. Presidents. However, Taylor maintained forty years of distinguished military career, fighting in the War of 1812 until the success of the United States in the Mexican-American War. He took custody of the Native American prisoners from the Black Hawk War of 1832. The Native Americans then were fighting to seize back the lands that were bought by the United States. They were protesting that the written agreements were in conflict with the actual negotiations with the tribe chiefs. Chief Black Hawk, a Sauk leader, led his tribe and other supporters to resist against the U.S. western expansion, but was caught and convinced to surrender by a village council to Colonel Taylor’s 1st Infantry Regiment. Taylor was promoted as brigadier general in the Seminole War, defeating the Native Indians in Florida. He was made commander of the United States Army based on the south in 1841. The Texas-Mexico border was Taylor’s next deployment when Texas was officially made part of the Union. This became possible with the election of James K. Polk as President of the United States, thus ending the opposition from the nationalist faction against Texas’ annexation. Border issues then rose with Mexico, then claiming Texas territory, breaking diplomatic relations with the United States. In 1846, General Taylor was deployed to Rio Grande to fortify the border. 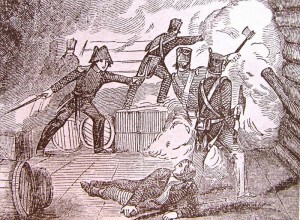 The Mexican troops came in and the Mexican-American War broke. The first siege laid down by the Mexican Army was in the still unfinished fortress in Fort Taylor, commonly known as Fort Texas. The U.S. 7th Infantry, led by Major Jacob Brown, protected the fortress until his death. General Taylor then aided the fortress until the Mexican Army retreated to Palo Alto. The Mexican General Arista and his force intercepted General Taylor in the plains of Palo Alto. General Taylor performed the “flying Artillery” tactic, developed by Major Samuel Ringgold, which won the battle for the United States “Army of Observation”. The Battle of Palo Alto is now a historic site maintained by the National Park Service.The now Brownsville, Texas was the site of General Arista’s last battle against General Taylor. It was a near success for the Mexican Army if not for the political conflicts within the ranks and Resaca de la Palma’s rough terrain hindering the Mexican Army communication. Despite the lack of troops, additional American forces managed to deflect the Mexicans, causing General Arista’s retreat. 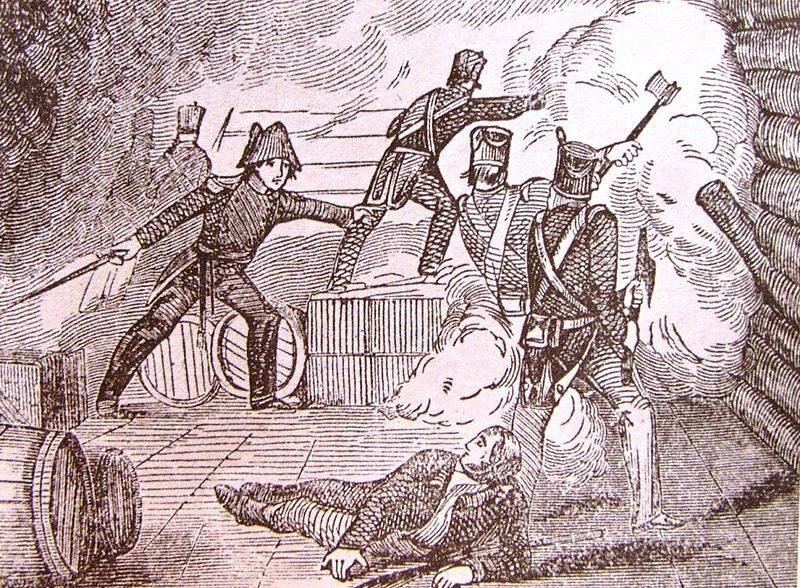 The Mexican-American War continued with the forces of General Taylor and General Winfield Scott laying sieges on Veracruz and Buena Vista. This made the two generals American heroes. They would later be rivals for presidency. President James K. Polk’s declining health prevented him for seeking to run another term, making the 1848 U.S. Presidential Election an open race. General Taylor was courted as a presidential candidate by both Whig and Democratic parties. He was known to have no political ambitions and had never voted, but he then accepted the Whig’s side. 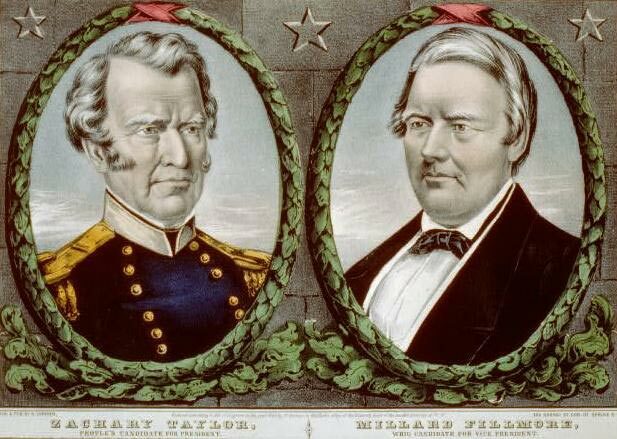 With Millard Fillmore as vice president, Taylor became the next President of the United States. His standing as a war hero was widely known and criticized during his campaign. Taylor was mainly an independent; he had strong opinions regarding the Whig’s protective tariffs issue and the Democrats’ stand of spreading slavery over the new states won form Mexico. Taylor himself was the last and second U.S. President to own slaves. For him, it is impractical to send out the slave industry to areas where sugar or cotton is not grown. He grew up in a wealthy household that had slaves, but his stand remained on disallowing slavery to spread on the other parts of the Union. With regards to the issue of slave states, the Compromise of 1850 was passed, including certain boundary and territorial issues. It proved to be successful in delaying the impending civil war for almost a decade. President Taylor may have vetoed this if not for his sudden death. Another notable event in the presidency of Zachary Taylor was the making of the Clayton-Bulwer Treaty. The treaty was discussed by John M. Clayton and Sir Henry Lytton Bulwer with the United Kingdom. It held the issue of attempts in building canals in Central America, particularly the Nicaragua Canal. The British were claiming territories in that part and the treaty is an agreement between them and the United States to neutralize the canal, preventing any political or territorial powers over it. The treaty was nullified by the Hay-Pauncefote Treaty of 1901, giving the United States control over any canal created in Central America that connects the Pacific and Atlantic Oceans. Taylor married Margaret Smith in 1810 and had six children. Richard, his only son, became a lieutenant general in the Confederate States Army, existing at the time of the American Civil War. Sarah Taylor, one of his daughters, married Jefferson Davis in 1835, but died of malaria within three months of her marriage. Davis later became the President of the Confederate States of America. Another daughter, Margaret Anne died of liver failure, while Aria settled in a large plantation in Louisiana. Taylor was the only President from Louisiana. He was inducted in 1995 into the Louisiana Political Museum and Hall of Fame. His ancestry can be traced back to William Brewster, an Englishman aboard the Mayflower ship that landed to the now Plymouth, Massachusetts. James Madison, the ‘Father of the Constitution’ and the 4th President of the United States, was his second cousin. Robert E. Lee and Franklin D. Roosevelt were also known relatives of Taylor. Taylor did not go to college and opted for a military career instead. He was only provided basic education by tutors chosen by his father. His abilities in spelling, grammar, and writing were said to be not exemplary in his student days. The cause of President Taylor’s death is still unclear. Supposedly, he consumed a bowl of cherries and a pitcher of milk during the Independence Day celebration. In July 9, 1850, he called his wife while he was very ill and stated his last thoughts and regrets. The cause of death was written as bilious cholera. 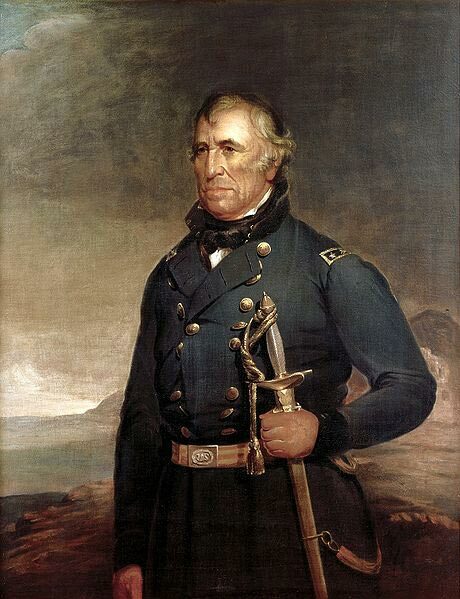 His and his wife’s remains are in Kentucky, known today as the Zachary Taylor National Cemetery. In the 1980’s, Clara Rising, an author and college professor stated that the late President Taylor was actually poisoned. She convinced Taylor’s living relatives to exhume the remains and conduct samples for laboratory testing. Poisoning was ruled out, but according to American historian Samuel Eliot Morison, he might have recovered if he was not treated with high dosages of drugs, bled, and blistered. Zachary Taylor lacked enough time to show his potential in serving his nation and in proving his success as a President of the United States. But despite the criticisms to his nonpolitical traits and lack of sufficient education, he was a notable figure in the military and remains a hero in American history.